Alastair Moock is a 2014 GRAMMY Nominee, two-time Parents’ Choice Gold Medal Winner, recipient of the ASCAP Children’s Music Award, and has twice been voted by the Fids & Kamily Industry Critics’ Poll among the Top 3 Albums of the Year. Long one of Boston’s premier folk artists, Alastair turned his attention to family music after the birth of his twin daughters in 2006. 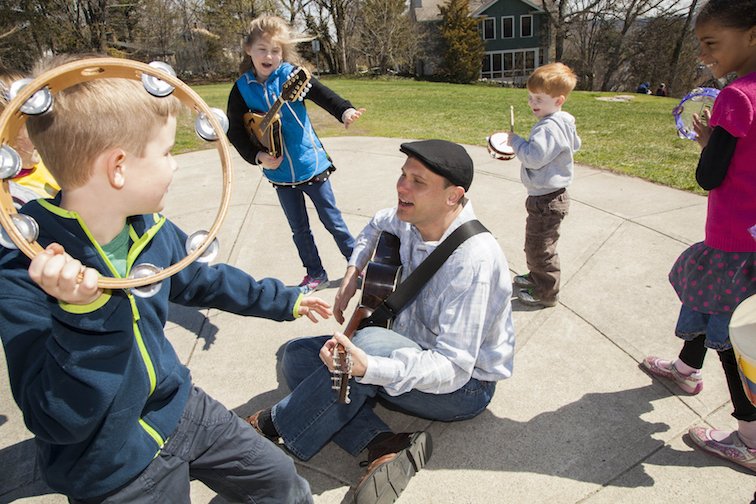 The New York Times calls him “a Tom Waits for kids” and The Boston Globe declares that, “in the footsteps of Pete Seeger and Woody Guthrie, Alastair Moock makes real kids music that parents can actually enjoy.” Moock and Friends’ live shows are rowdy, rootsy, singin’ and dancin’ fun for the whole family! Twenty years into his performing career, Alastair Moock has managed to carve out a unique niche for himself: He is a songwriter committed to celebrating the roots of American music while knocking down the walls between different audiences, genres and musical traditions. Today, his audiences range from adults to preschoolers, and he plays everything from theaters to nightclubs to schoolrooms. Like his boyhood hero Woody Guthrie, Moock believes in the power of music to reach all people — young and old, far and wide. Over the years, Moock had occasionally performed for kids on the side, but it wasn’t until his twin daughters were born in 2006 that he was inspired to make his first foray into family music. In 2010, he joined the roster of Young Audiences of Massachusetts to bring his program “Music and Social Change” to schools throughout the state. That same year, he released his first family music album, A Cow Says Moock. Both that album and the next, These Are My Friends, were met with critical acclaim. But it was Moock’s third family album, Singing Our Way Through: Songs for the World’s Bravest Kids, that became nearest and dearest to his heart. In 2012, one of Alastair’s daughters was diagnosed with leukemia (she’s doing great today). The Singing Our Way Through project began when they started writing songs together in the hospital. 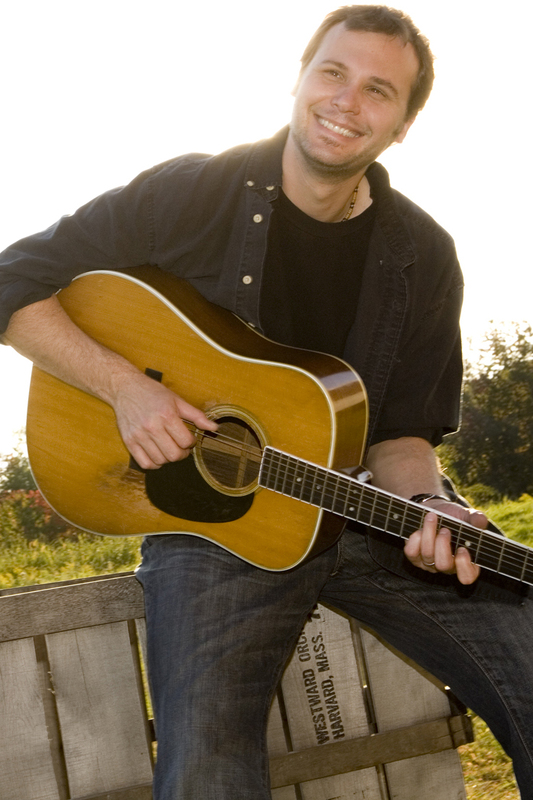 Over the next several months, Moock continued to write and collect songs that reflected his family’s experiences, and the end result was an album for kids “with (and without) cancer.” It was featured on NPR’s “All Things Considered,” “Katie’s Take” with Katie Couric and Good Morning America, and received gold medals from Parents’ Choice and The National Parenting Publications Awards (NAPPA) as well as a 2014 Grammy Nomination for Best Children’s Album. With the help of a fantastic fundraising campaign, over 3,500 copies of the album have so far been distributed to families through hospitals and cancer organizations around the country.